What really is Mucus in Urine? 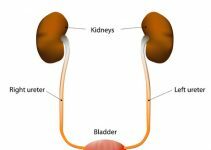 1 What really is Mucus in Urine? 11 When to call the doctor? Urine is mostly clear in color but at times it may be amber or straw colored. Moreover, due to presence of mucus it might appear cloudy. Mucus is found in the lining of the urethra and urinary bladder and may be excreted out by getting mixed with urine. The secretions are mostly thin and fluid like. Mucus is not so common in urine and often considered harmless. However, if found they can be cause diseases in the digestive system, urinary tract, reproductive system and even the immune system. When something goes wrong in the body and several systems are not in sync then only mucus formation is seen in urine. Antibiotics such as amoxicillin or erythromycin. Homeopathic treatment acts quite helpful as they trigger to find the primary cause underlying this symptom of mucus formation and try to cure it. Homeopathic medicines treat the patient and its body as a whole. And also specific medication can be used for particular types of problems according to the symptoms experienced. Effects of these medicines may help to rule out the excess amount of mucus. A little amount of mucus in urine is however not much of concern. But an excess excretion is alarming and one should pay serious attention to it. Although the mucus may be mild, it may cause high damage to the body if not treated timely. It may cause urinary tract infection, but it may not be much critical as bladder cancer. But this symptom may carry underlying ailments such as abnormalities in the reproductive system, issues of the excretory system and immune system causing an infection. On noticing excessive mucus accompanied by cloudy urine that is deep yellowish, pinkish or Cola colored carrying a foul smell, make an appointment with the doctor. Some cases might be harmless, but in some conditions, the mucus may be a symptom of an underlying disease that may turn critical. The doctor can quickly determine through the warning symptoms if the mucus is severe or less acute and easily treatable.